North American Aftermarket - Weasler Engineering, Inc.Weasler Engineering, Inc. 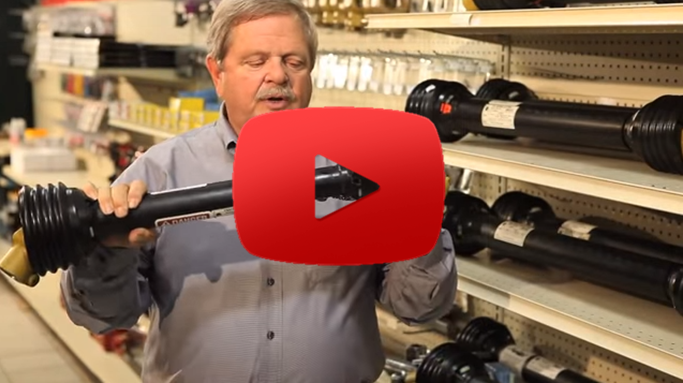 The Weasler Aftermarket is uniquely positioned to offer a full range of North American PTO drive shafts and components, as well as a full range of European PTO drive shafts and components (both Italian and German styles). 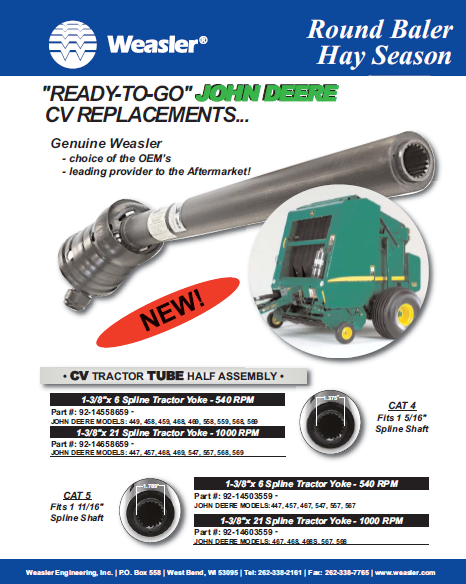 Weasler’s user-friendly Aftermarket Product Guide presents this complete offering. A PTO drive shaft exploded view, along with a proprietary and trademarked part numbering system, simplifies the ordering process. 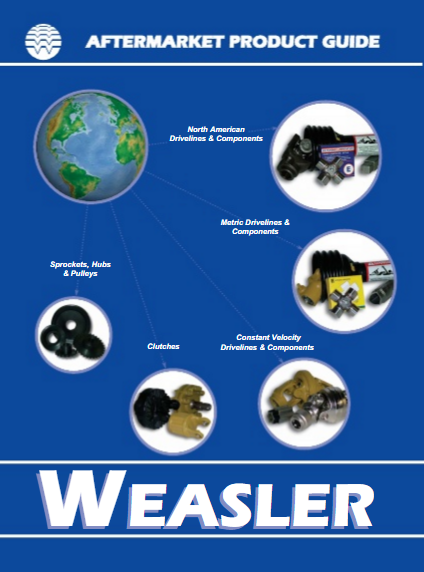 At this time, the Weasler product line is available through distributors only. For further information, please contact your Weasler distributor.